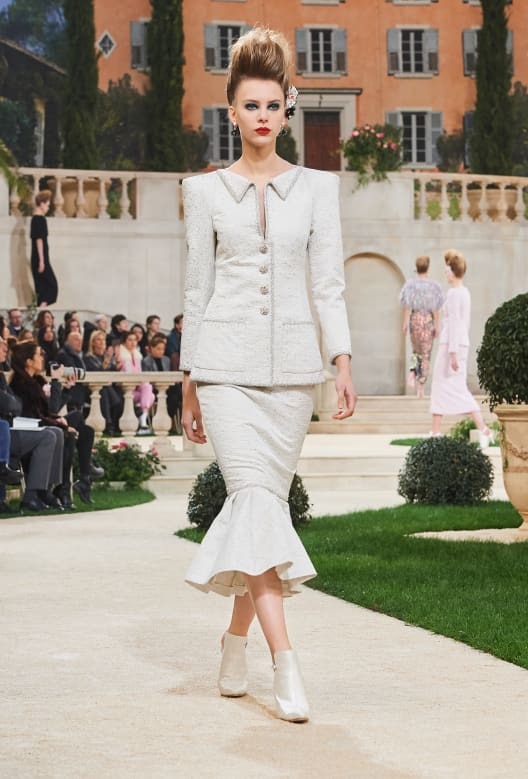 Karl Lagerfeld turned the Grand Palais into a Mediterranean garden to unveil the Chanel Haute Couture Spring 2019 collection. The setting – ‘Villa Chanel’ (as it was aptly named), was inspired by a spectacular Mediterranean estate and consisted of real sand, lifeguards, palm trees, manicured lawns, a pool and even the sound of the ocean in the background. Models were adorned in traditional Chanel tweed suits with a twist on hemlines, a mostly-muted palette and a nod to the 80’s. 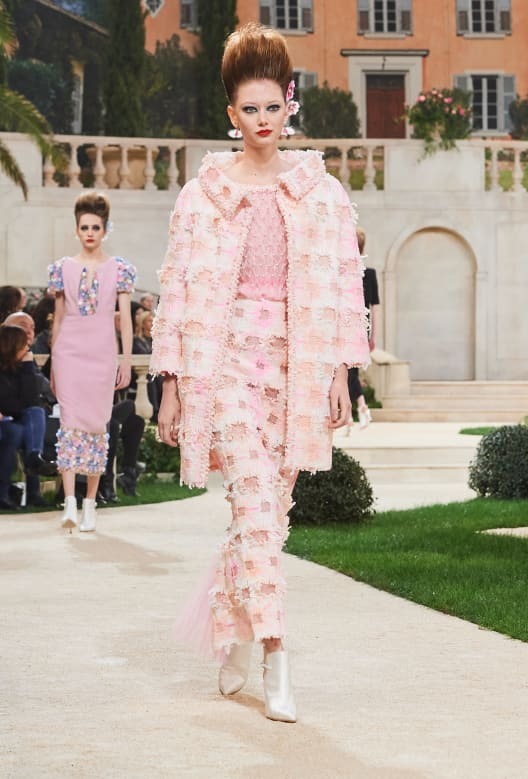 Fishtail skirts, ruffle trims, feathers, mid-length hems and leather saw the collection become yet another crowd pleaser as the endlessly renewed creativity and know-how of the Haute Couture ateliers and Chanel’s Métiers d’art was nothing short of breathtaking. Discover more about the designer here. To view more runway collections, head on over to our Runway section here.